‘The Wizard of Oz”‘ tops greatest movies for kids list The 1939 Hollywood classic “The Wizard of Oz” topped Scholastic Parent & Child Magazine’s list of the 100 Greatest Movies For Kids. The roster is featured in the publication’s February/March 2013 issue, available now. Coming in at No. 2 on the list is “E.T.,” followed by “Mary Poppins” at No. 3, “Toy Story 2” at No. 4, “The Princess Bride” at No. 5, “Beauty and the Beast” at No. 6, “Star Wars” at No. 7, “The Iron Giant” at No. 8, “Pinocchio” at No. 9 and “A Little Princess” at No. 10. “From classics to currents, blockbusters and even little-known gems, the ‘100 Greatest Movies for Kids,’ provides the ultimate movie pass into family entertainment,” Nick Friedman, editor-in-chief of Scholastic Parent & Child, said in a statement Wednesday. Andrew Lloyd Webber’s Wizard of Oz Extends Toronto Engagement The Toronto engagement of The Wizard of Oz, a new production based on the beloved MGM film with new music by Andrew Lloyd Webber, has extended its run to June 2 at the Ed Mirvish Theatre. Tickets for the extension will go on sale to the general public Jan. 28. American Express cardholders can currently purchase tickets for the extension. A Dark History of Children’s Literature at Kroch Library The exhibit features a 1900 first edition of L. Frank Baum’s The Wonderful Wizard of Oz. Baum was protean American genius, and is one of my heroes. (I once wrote a science fiction screenplay that is a futuristic retelling of The Wizard of Oz, and I have wanted to write an Oliver Stone-esque biopic of Baum’s life for decades.) And, here, we have an illustration (of the Cowardly Lion being bound by the Flying Monkeys in an emerald field) by W.W. Denslow. William Wallace Denslow was a colorful, misanthropic guy with a huge mustache and a foghorn voice who eventually took his royalties (from the 1902 stage musical extravaganza The Wizard of Oz) and bought his own island and retired from humanity. Denslow, like Tenniel, also felt that he didn’t get enough credit. He was probably right, too. The Wardrobes & Rabbit Holes exhibition runs until March 22 at the Hirshland Exhibition Gallery in the Carl A. Kroch Library (on floor 2B, two floors below the ground level of Olin Library on the Cornell campus in Ithaca, N.Y.) Gallery hours are 9 a.m. to 5 p.m., Monday through Friday. The entire exhibition can be viewed online at www.rmc.library.cornell.edu/rabbithole. Theatre review: Andrew Lloyd Webber’s Wizard of Oz has sass, spectacle and gives good song I’m philosophically opposed to the idea of casting shows by TV talent contests, but it works out as well here in practice as it did in Sams’ (far superior) production of The Sound of Music. 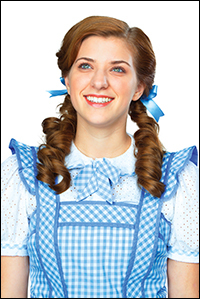 As Dorothy, Danielle Wade — plucked from the CBC’s Over the Rainbow talent show — is a troubled teen rising above her troubles, and does much to keep the show on the Yellow Brick Road (one of the better design elements, incidentally). It isn’t her fault the song Over the Rainbow is now so crusted in mythology that it’s impossible to accept as part of a story (and the rainbow itself looks very cut-rate). The Wizard of Oz cast is great but visuals need help: Review The best adjective to describe a lot of the proceedings is “twee” and from the moment where the twister carries us to Oz (courtesy of projections that a friend rightly pegged as reminiscent of a 1980s episode of DoctorWho) and then deposits us into a world of Munchkins dressed like Mennonites with a penchant for Wedgwood blue, who dance as though they suffered from osteoporosis, it’s hard to feel much empathy for anyone or anything. In short, it’s a visual mess, despite its almost needy desire to dazzle and it’s hard to find much redemption in Lloyd Webber and Sams’s adaptation of the book. Wizard Of Oz never quite takes flight Despite all the reality TV show hype surrounding the casting of the lead, the role isn’t that compelling. Sure, Dorothy gets a new Lloyd Webber/Tim Rice song called Nobody Understands Me – the lyrics are just as banal and on-the-nose as that title suggests – and endless reprises of Over The Rainbow, but there’s no theatre equivalent of the camera close-up to show you Judy Garland’s doe eyes and trembling lips. World’s Most Famous Movie Theater, Grauman’s Chinese In Hollywood, Changes Its Name During the 1940s Grauman’s hosted the Academy Awards ceremonies. The site has been used for numerous high-profile premieres, from “The Wizard of Oz” in 1939 to “Gangster Squad” last Monday. Actress Myrna Loy was among the first to memorialize her handprints in Grauman’s cement. The cast members of “Twilight” were among the most recent. After 85 years, the world’s most famous movie theater will finally be living up to its name. 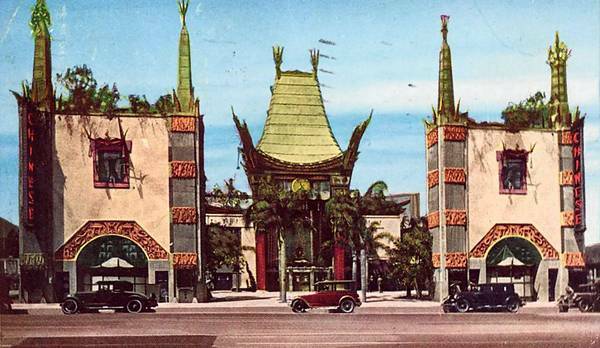 Chinese TV maker TCL has paid more than $5 million for the naming rights to the venerable Grauman’s Chinese Theatre opened in 1927 by showman Sid Grauman. The Wizard of Oz: How one weird book spawned a whole pop culture There’s no denying that Oz’s universe of munchkins, witches (wicked and good), Yellow Brick Roads, Emerald Cities, endangered innocents (innocence) and anthropomorphic characters like the Cowardly Lion, is odd. But it’s that very weirdness, its elusive and allusive ambiguity, its refusal to settle into one-size-fits-all didactic, that gives it the enduring vitality and porosity not found in, say, Tom Swift and His Photo Telephone or Horatio Alger’s Luke Walton (the Chicago Newsboy), to cite some other children’s texts from Baum’s time. There’s an Oz, it seems, to inform every era, technology and sensibility – be they those kids in the 1990s who synchronized the music of Pink Floyd’s Dark Side of the Moon with the 1939 Judy Garland movie, or the epic transmogrifications of Baumian themes in the panoramas of Chicago artist Henry Darger (1892-1973), or the way Sean Connery’s reading of The Wizard of Oz at the conclusion of the trippy sci-fi drama Zardoz (1974) serves as a decoder of sorts for the film’s hallucinatory logic. 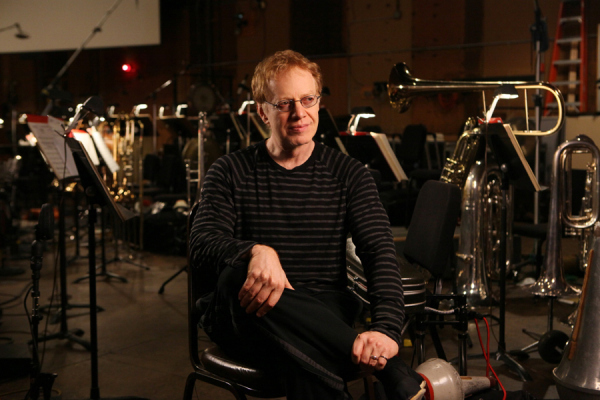 Composing wizard Danny Elfman talks sweeping, gigantic ‘Oz’ score A full orchestra played along to the sequences while Elfman, nursing a cold with a mug of green tea, sat beside his orchestrator Steve Bartek at a massive sound board, offering various suggestions to the musicians. “I need a little more of the bassoon”; “Let’s try playing the trombone — oh, what’s the word — a little straighter?” “Danny has a grand arsenal of musical abilities,” Raimi said in a separate interview. “He’s able to create a sweeping gigantic sound that can really describe a tremendous scale and help us create this very unique world that Frank Baum wrote about, the land of Oz.” Elfman hadn’t worked on one of Raimi’s film since 2004’s “Spider-Man 2,” but in his studio, the composer said the score came “lightning fast” — he wrote the bulk of the music in only about six weeks. Cultural Arts Commission Endorses Wizard Of Oz Weekend The focal point of the weekend will be a complimentary advanced screening of “Oz: The Great and Powerful,” which is Disney’s new film starring James Franco, Michelle Williams, Rachel Weisz and Mila Kunis. The feature was directed by Sam Raimi of “Spider-Man I, II and III” fame. “Oz: The Great and Powerful” will be shown simultaneously on all three screens at Coronado’s Village Theatre. There is no charge for the screening, but tickets are required. The attendance capacity is 275 people. The Coronado tie-in to the Wizard of Oz is of course author L. Frank Baum, who wrote significant portions of his original book in and around Coronado. One of the WOW events scheduled for Friday at 6 p.m., is a wine reception, lecture and book signing featuring author Roger Baum, the great-grandson of L. Frank. Saturday there will be a Wizard’s Breakfast from 10 a.m., to noon at 1101 Star Park Circle. This part of the weekend is billed as a ‘kid-friendly’ event and will include face-painting, characters in costume, as well as a ‘Dorothy and Toto Look Alike’ contest.